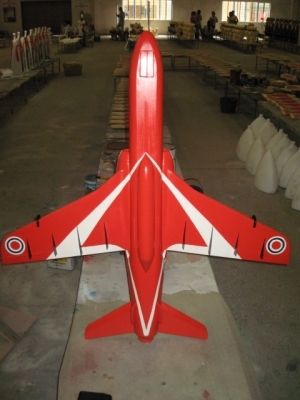 This Red Arrow replica would certainly turn heads especially with your own fleet hanging from the ceiling in the famous 9 diamond display. Why not have your own fleet of Red Arrows hanging from the ceiling in formation performing the many acrobatic tricks that the RAF perform. These would make an ideal present for anyone into plane spotting , would make a great addition to any air display theme or military themed area, shops, business, pubs, restaurants, adventure golf course or would even look fabulous in your own home.